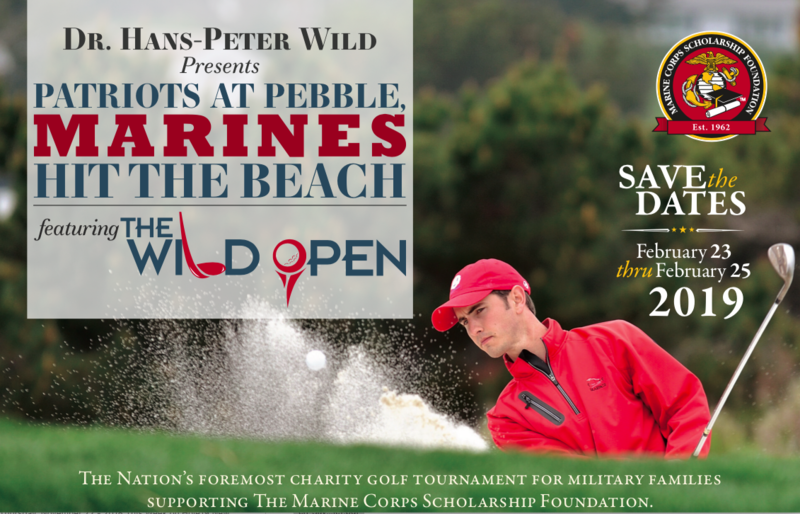 Jarhead Wines is proud to support the Marine Corps Scholarship Foundation Patriots at Pebble golf tournament from February 23rd to 25th. 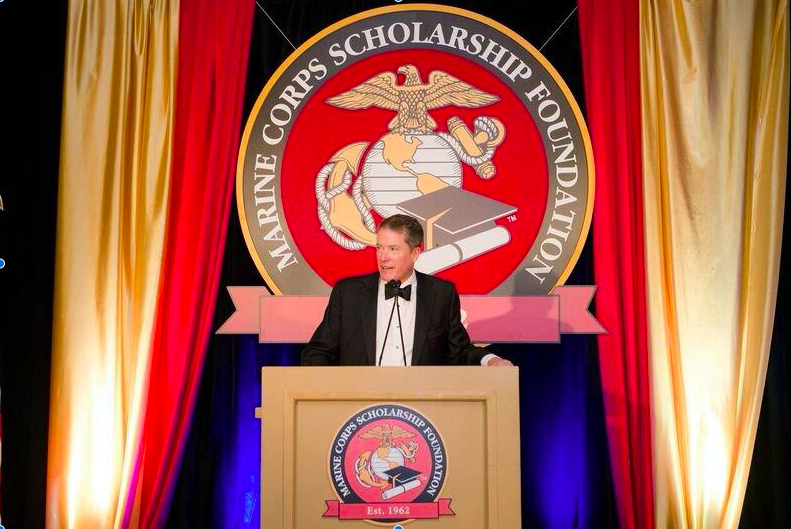 Newport Beach, CA – – The Marine Corps Scholarship Foundation reports that nearly $1.3m was raised during it’s 36th Annual West Coast Gala on Saturday, October 6, 2018. The dinner, featuring a performance by the Marine Corps Band, San Diego, was a sellout and continued the long tradition of fundraising dinners. Jarhead founder Adam Firestone was honored with the Semper Fidelis Award for his contributions to the Marine Corps Scholarship Foundation. Adam Firestone pictured after receiving Semper Fidelis Award. We are proud to report that our new vintage of Jarhead Red was served at the dinner. More updates will follow as Jarhead Red finds its way to Birthday Balls and other events across the country. 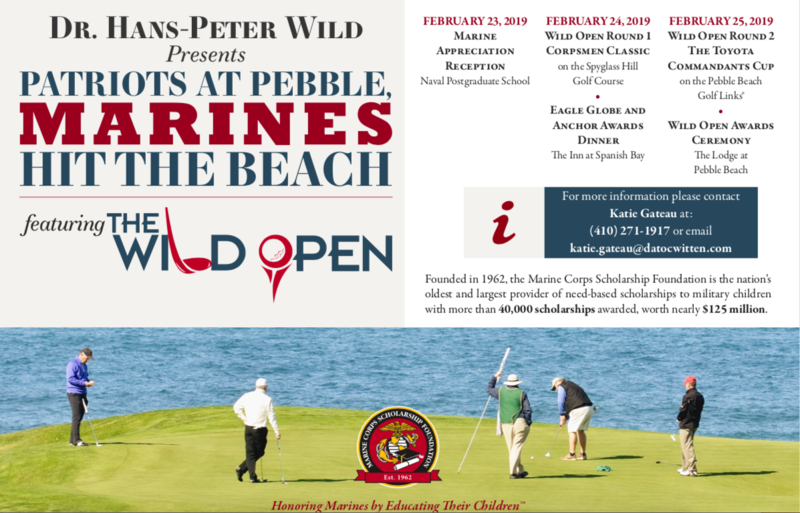 The Marine Corps Scholarship Foundation will hold its annual dinner gala at the Pelican Hill resort at Newport Beach, California. 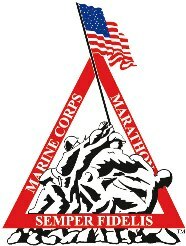 Jarhead Wine Company founder and Company Commander, Adam Firestone, is to be honored with their Semper Fidelis Award. Naturally, Jarhead wines will be served. 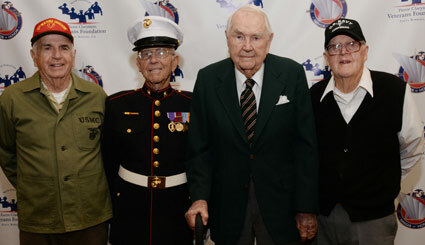 Fifth Marine Division Association is hosting Iwo Jima veterans to a reunion on October 16-21. 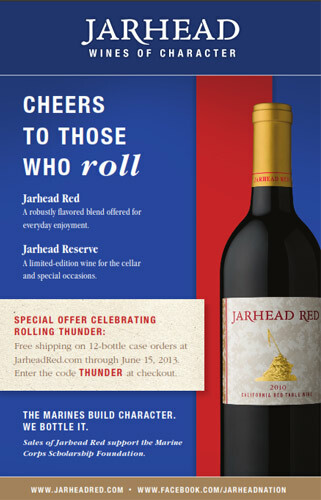 Jarhead Wine Company was proud to be asked to help supply wines for the dinner. We were a proud wine sponsor of the recent GI Film Festival in Hollywood. The GI Film Festival is a non-profit educational organization dedicated to sharing the military experience in and out of the arena of war. The festival is the first in the nation to exclusively celebrate the successes and sacrifices of the service member through the medium of film. 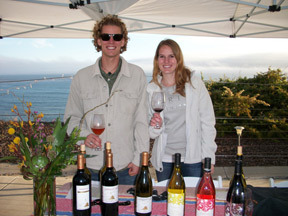 Good times and good vibes abounded at Wine, Waves & Beyond over the weekend in Pismo Beach. 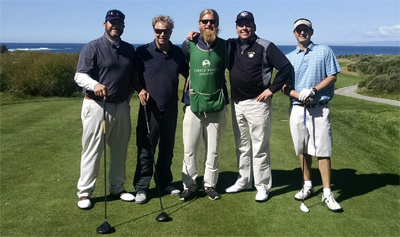 Proceeds benefited the Association of Amputee Surfers, which does a lot of great work on behalf of disabled individuals, including military veterans. Chas and Emily (son and daughter of winemaker Chuck Carlson, pictured here) represented Jarhead at the grand tasting and said the 2009 Jarhead Reserve was a particularly big hit with the crowd.